The CXL Institute puts together a number of well-organized and valuable courses for digital marketers. Some of these courses are in-depth programs that cover the specific areas of online marketing. Others are more comprehensive courses that give people a more general insight into the current tools and trends in this field. In order to inform you about the educational opportunities provided by the CXL institute, we’ve analyzed some of their courses. We’ve reviewed some of their most valuable growth-hacking and storytelling courses. Every website needs to be optimized if their owner wants to make it visible online and regularly visited by targeted users. 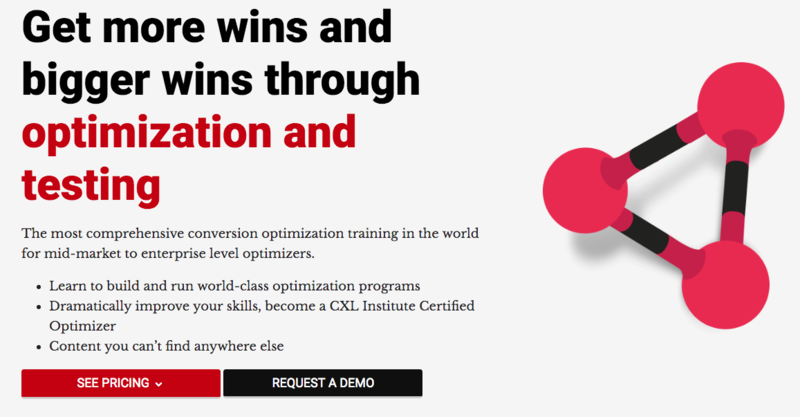 With the CXL Conversion Optimization Minidegree, you’ll learn how websites work as a whole. Also, you’ll find out more about different elements within the same website, to improve its conversion rates. Apart from that, this course will teach you how to implement A/B testing before you launch your website. Once you learn the principles of conversion, Web Analytics & UX, you’ll be able to apply these techniques throughout the Web. The key tutors on this course are Ton Wesseling, Peep Laja and Stefania Mereu. The price for the Conversion Optimization Minidegree is $899 and ensures lifetime access to the course. Knowing how to search for and process data is a difference-making skill in the modern digital environment. 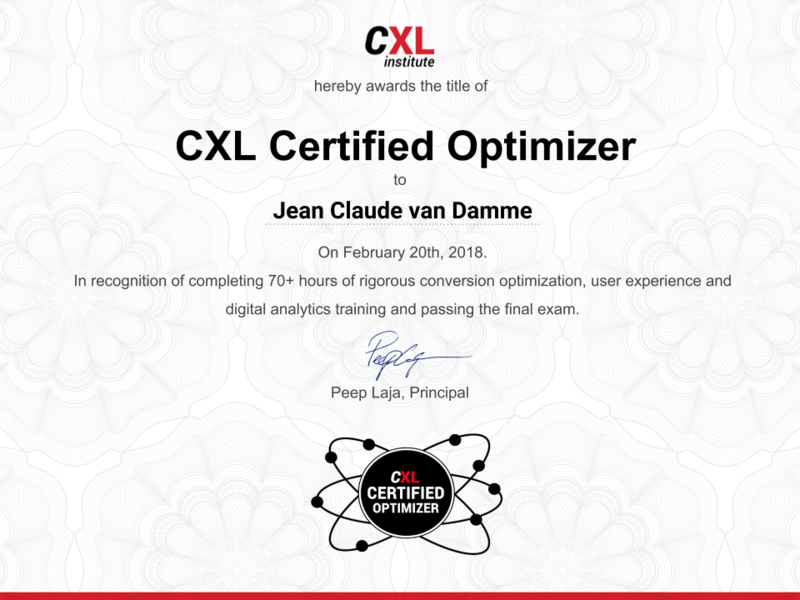 The CXL Digital Analytics Minidegree is the right choice for every online marketer who wants to take the plunge in this area. This comprehensive educational program will teach you everything you need to know about Google marketing. From improving website speed and data aggregation to cross-device analytics and different sorts of tracking, you’ll get an in-depth insight into the world of Google and Google Analytics. One segment of this course also covers the role of storytelling in digital analytics, while the last part is dedicated to the future of analytics. The most prominent lecturers are Charles Farina, Yehoshua Coren, Chris Mercer, and other tutors. Becoming a CXL Certified Digital Analyst will cost you $1.490. While it’s a costly online course it gives you so much knowledge and you may apply for many different roles upon completing it. The number of roles digital marketing has is constantly growing. There’s a higher demand for their thorough segmentation. That’s why the role of marketing growth specialists is being recognized by the clever employers right now and more so in the near future. 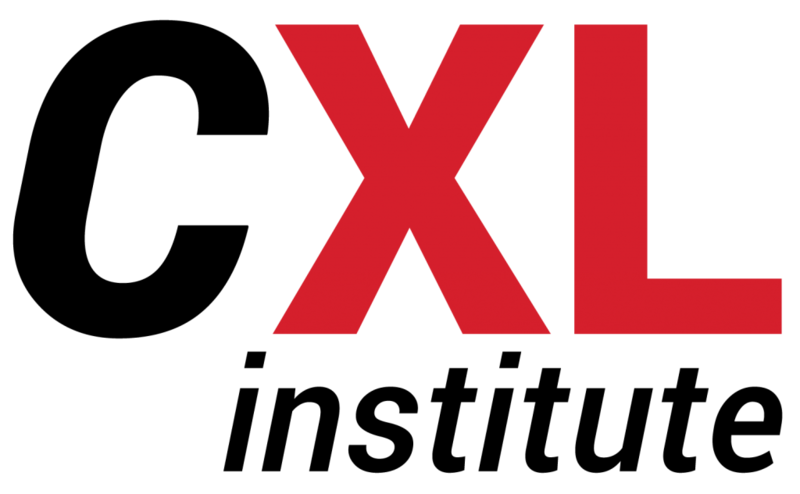 The CXL Growth Marketing Minidegree is held by renowned marketers who are the household names in the online marketing industry. You’ll learn different theoretical principles about what it takes to plan and manage growth within a business. During this course, you’ll go through technical skills, analytical and quantitative skills, as well as qualitative research. These tools will be shown to attendees with practical examples so that they can easily understand their applied use. Moreover, this minidegree will also teach you the basics of storytelling for better growth, together with impactful copywriting. As for the methods, you’ll be using checklists, spreadsheets, and video lessons to become a Certified Growth Marketing Specialist. This course has been put together and taught by John McBride, Sophia Eng, Sean Ellis, and other well-known marketers. 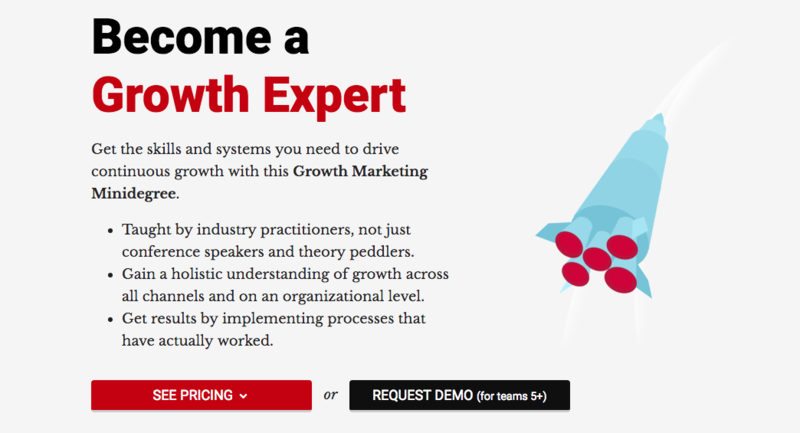 The price for the Growth Marketing Minidegree is $699, which you pay only once and have unlimited access to the course. This is one of the best buy online courses available. Learning how the technical side of digital marketing works is recommended, but that’s not enough. It’s important to know how your potential customers think and behave on the web, as well as how they create habits. The CXL Digital Psychology and Persuasion Minidegree will teach you how to use words and design in an appealing and persuasive way. You’ll also become aware of the emotional aspect of your target audience and how to address those elements to properly respond to your brand. What’s also important in the contemporary world of marketing is to learn how to join together the conversion optimization features with the elements of psychology. One aspect of this course will focus on this integration, as well. Moreover, gaining deeper knowledge about neuromarketing – how our brain works when we’re customers – will be more than useful for your future business efforts. The tutors here are Roger Dooley, Susan Weinschenk, Erik Johnson, and several other masters of the trade. 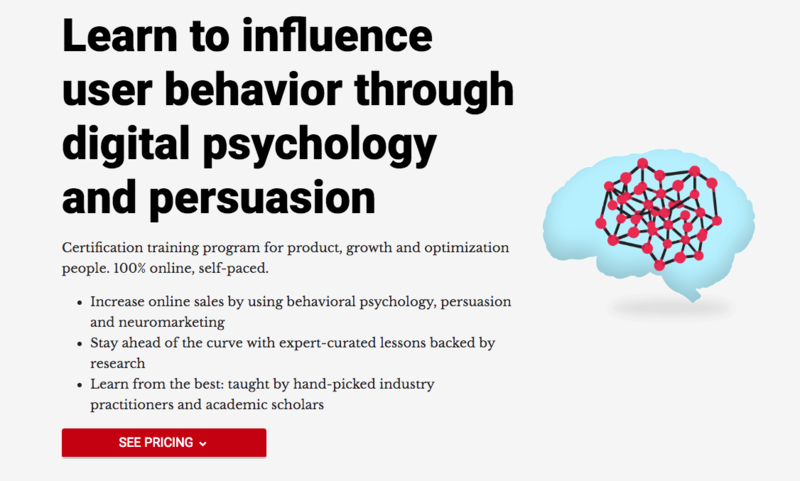 When you pay $699 for the Digital Psychology & Persuasion Minidegree, you’ll be granted lifelong access to its features. 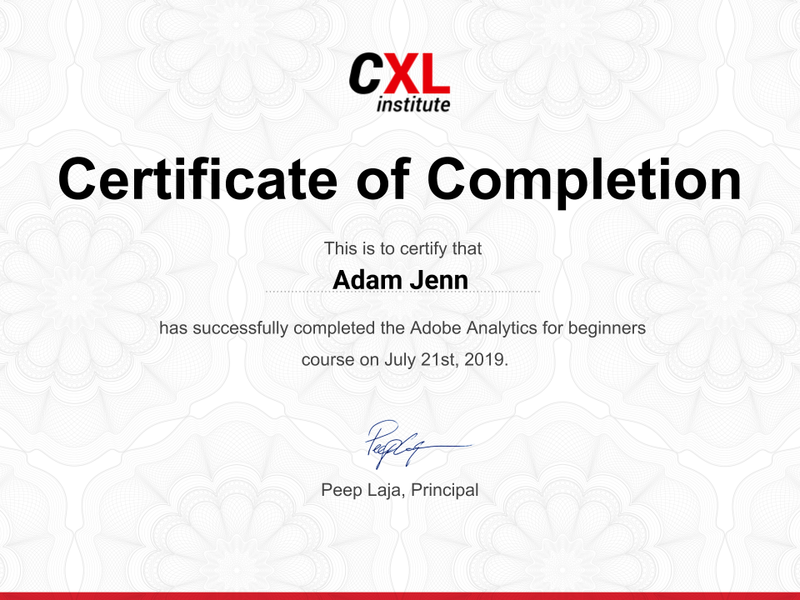 No matter if you’re a website owner or an analytics beginner, the CXL Google Analytics for Beginners Course will equip you with a vast amount of valuable knowledge of analytics. Among many other things, you’ll learn how to read and process all the major reports that Google Analytics will be sending over to you. You’ll also be taught how to apply Google Analytics in the practical online environment and get deeper into marketing campaigns. The buzzwords like segments, filters, reports, and metrics will be explained in a clear and practical way. Apart from that, you’ll also develop your conversion skills, learning how to find and use conversion opportunities. Business owners will learn how to connect their business ideas and requirements with the tools provided by Google Analytics. As a result, you should be able to generate a higher number of leads when you finish this course. This course is organized and held by his analytics majesty Chris Mercer, one of the most successful analytics experts today. The regular price for the Google Analytics for Beginners online course is $299, although you can enroll in this course at the promo price of $49. You get lifetime access for this 6h30m long course. Getting deeper into the features of Google will adequately prepare you for the challenges you’re going to be facing in the digital marketing environment. 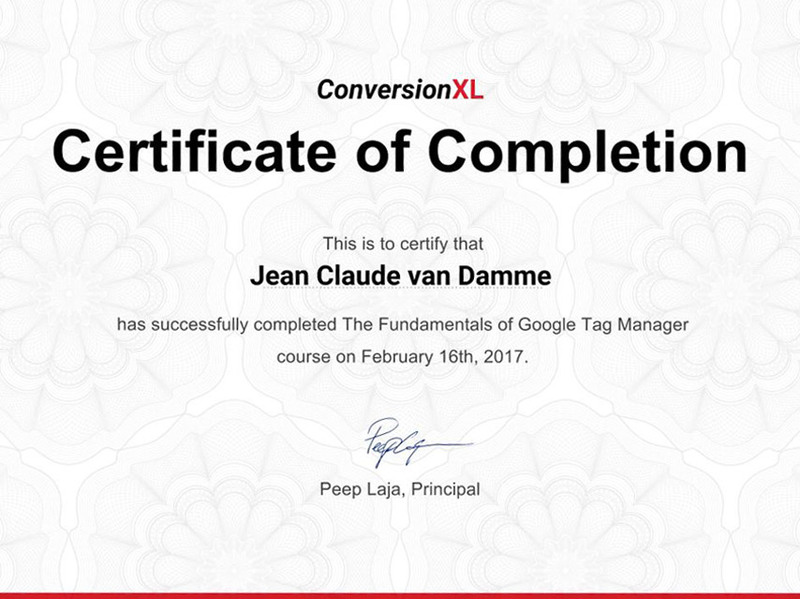 Passing the Google Tag Manager course is a great starting point for every aspiring digital marketer since it will teach you how to manage your tags without entering the realm of coding. That way, you’ll be able to set and adjust tracking features to your current business needs, as well as to apply variables in Google marketing. Also, the tag-managing features will enable you to deal with tracking options without collaborating with developers. This tool is also a great choice if you want to become familiar with advanced tracking options, or to learn how to keep your tags organized. Further, teaching the students about GTM DataLayers is among the main goals of this program. Those attendees who enroll in this course to improve their digital services to other companies will be able to set acquisition or retargeting pixels. Finally, mastering this tool will make it easier for you to collaborate with other marketers inside or outside your company. 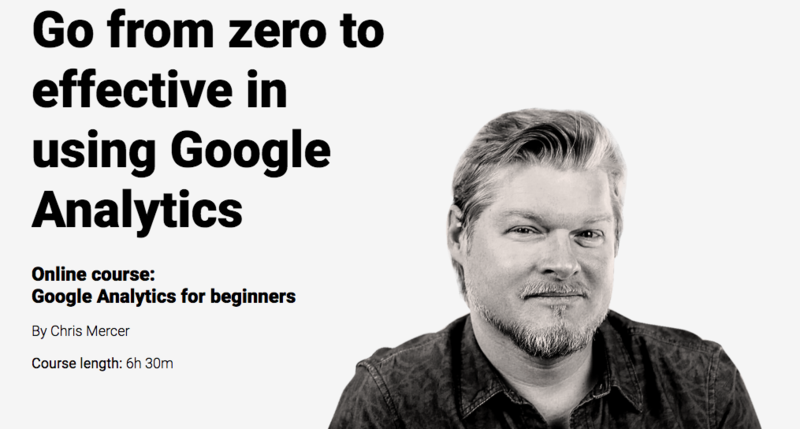 The main lecturer is Chris Mercer and the entire Google Tag Manager Fundamentals course costs $299. It’s over 16h long. The Advanced Google Tag Manager course will immerse you deeper into the story about Data Layer. Also, you’ll find out more about the data transfer process between your website and the visitors, by getting familiar with the browser state. This three-way relationship between Google Tag Manager, your website and Data Layer is extremely important for improved marketing and analytics result. By getting deeper into the JS system, you’ll improve your knowledge of GTM features, as well. 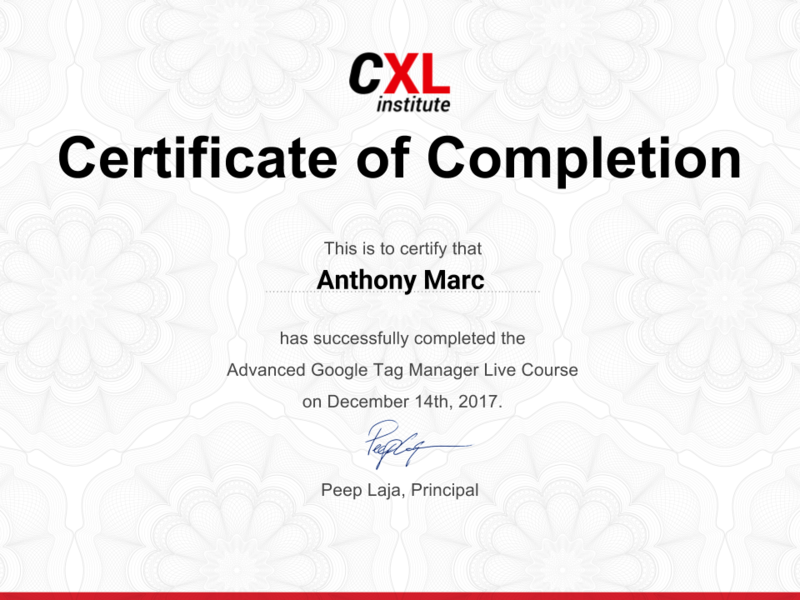 The Advanced Google Tag Manager Live course is put together and taught by Simo Ahava, while the price for this 7h-long course is $399. With so many A/B testing tools available with the click of a mouse, it’s not a problem to find a software tool for that matter. What’s more problematic in this day and age is to find an analytical tester. This is where the CXL A/B Testing Mastery course makes all the difference. You’ll learn why to avoid the trial-and-error attempts, as well as how to combine incorporate your natural feel into an established testing system. This course will not only teach you how to run experiments with online features, but also how to use the data from the client to solve the big functionality problems. This will make you more competitive on the testing market when compared with the testers who only deal with buttons and arrows. Finally, you’ll also learn the basics of the post-testing drill and how to provide your clients and developers with purposeful reports. Devised by Ton Wesseling and available at $499, the A/B Testing Mastery course will teach you how to develop the right way of thinking necessary for efficient A/B testing. In order to learn how to optimize your landing pages, you should enroll in the CXL Landing Page Optimization Course. After learning more about the purpose of these pages, you’ll get into the various aspects of user experience that play an important role in optimizing landing pages. Then the attendees will move on to the neuroscience functions of the brain and study how we make decisions. These findings will help you understand the importance of well-organized and optimized landing pages. Also, you’ll be taught about the segments in which our brain processes information and how these features affect the conversion rates of landing pages. Discussing the statistical aspect of a well-researched landing page is also one segment of this course. Conducting quantitative research will enhance dealing with the figures regarding your visitors and your website. After analyzing the qualitative aspects of landing pages, you’ll learn more about proper copywriting for landing pages. Then you’re going to join all these elements into your own original landing page, which will be rounded off by a Q&A session. 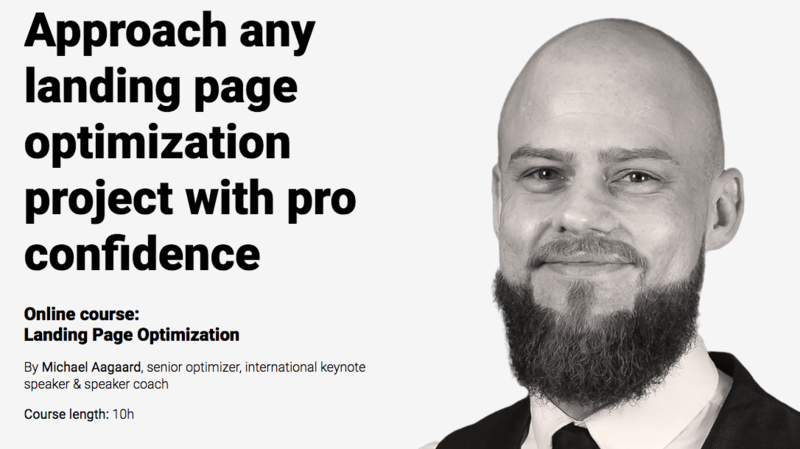 The author is Michael Aagaard and the price of the Landing Page Optimization course is $499. Let’s now mention and review some of the smaller growth-hacking online courses available at the CXL Institute. When you’re entering the world of online business, it’s important to know how to create a brand that gets ahead of the curve. The CXL Authentic Storytelling Course, conducted by David Reeve, will teach you how to fine-tune your writing tone, so as to sound more authentic. What’s more, you’ll also get into the process of targeting the audience with the right keywords and terms that will successfully reflect their needs and your services. As an integrated part of every storytelling effort, the attendees will also deal with setting the core value of your brand. Further, they’ll also learn how to apply this value into valuable copies and brand stories. The price of this Authentic Storytelling Masterclass is $99. I think the course is great, but it’s just 2h30m long, hence the grade. Since studying marketing includes several different scientific fields, one of the most useful courses available at the CXL Institute is the Applied Neuromarketing course. In this program, you’ll cope with the theoretical aspects of neuroscience and its application in neuromarketing. In addition to some psychological terms, here you’re going to learn about the physiology of the brain. Moreover, the author of this course, Andreé Morys will explain in detail how to affect these neural functions to leave a positive impression on your audience. One segment of the course will concentrate on our attention and perception, i.e. the triggers that stimulate our brain and the processes inside it. Another important part of this educational program is the emotional aspect of our marketing habits. Here the attendees will learn about the emotional procedures that people experience when they’re deciding to buy something. In the final part, you’ll apply these skills to a practical example of marketing optimization. Gaining all this knowledge on Applied Neuromarketing course will cost you $199. Digital marketing has come a long way from simple CTA techniques. Now that the online audience is diversifying in many different ways, it’s important for entrepreneurs and website owners to master the fundamentals of marketing persuasion. The purpose of the CXL Fundamentals of Persuasive Websites course is to teach businesspeople how to create compelling campaigns. The accent is on the importance of using the methods that don’t trick or deceive customers, but only the ones that convince visitors to choose the brand in question. Some psychological aspects of the decision-making process will also be discussed in this course. Apart from that, you’ll learn more about people’s motivation for shopping or loyalty to particular brands. When you’ve done with this part, you’ll find out more about creating attractive and catchy copies. The final part of this learning program will focus on the core design features that increase the clickability of websites. The entire Fundamentals of Persuasive Websites course costs $99 and the instructor is Paul Boag. I think this course gives you a lot of bang for the buck. UX is mentioned on many of the courses available at the CXL Institute. But this is the only UX course that’s purpose-made for marketers. After learning about the basics of UX design and its position in the process of website creation, you’ll move on to user research. In other words, this part of the course will teach you how to find out more about your target audience and learn more about their online preferences. This data input will help you come up with the appropriate UX features for your users. The next stage of this course is reserved for customer experience maps. These special UX tools will be your closest associates in everything you do in this field. When you learn how to use them, you’ll know how to present your brand online in accordance with your audience’s expectations. When you’ve passed the next two stages – user journey and information architecture – you’ll deal with wireframing. Your lecturer will guide you through some helpful templates. Also, you’ll be shown some efficient wireframes that have been translated into graphical solutions in a smooth way. Finally, you’ll get into the user testing methods, as well as into using quantitative and qualitative information in this process. 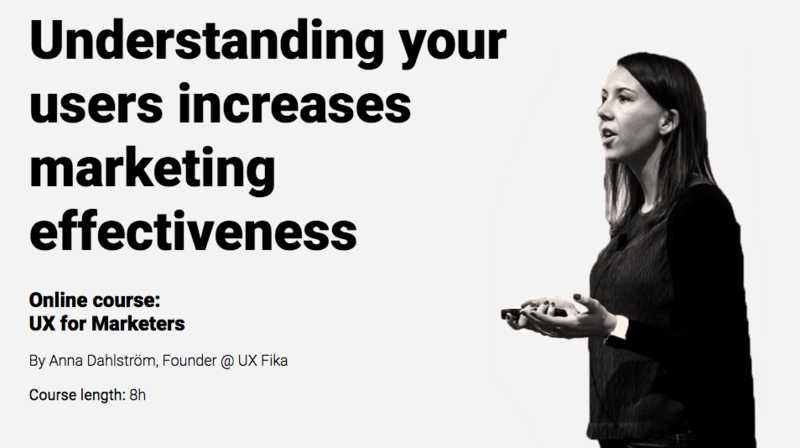 The costs of the UX for Marketers course is $499. Your lecturer will be Anna Dahlström, a renowned Swedish UX designer. In the eCommerce Growth Course at the CXL Institute, you’ll get familiar with different elements that make an Ecommerce grow. For starters, the author of the course, Drew Sanocki, will talk about the statistical aspect of eCommerce growth, presenting you with some accurate stats and case studies. After this initial session, you’ll discuss the importance of loyal customers and repeat buyers. Within this segment, you’ll learn more about the best retention practices and the advantages of email marketing and remarketing. The next segment will talk about some tricks of the trade, like bundling or free shipping and other similar details that will help you become more reliable. 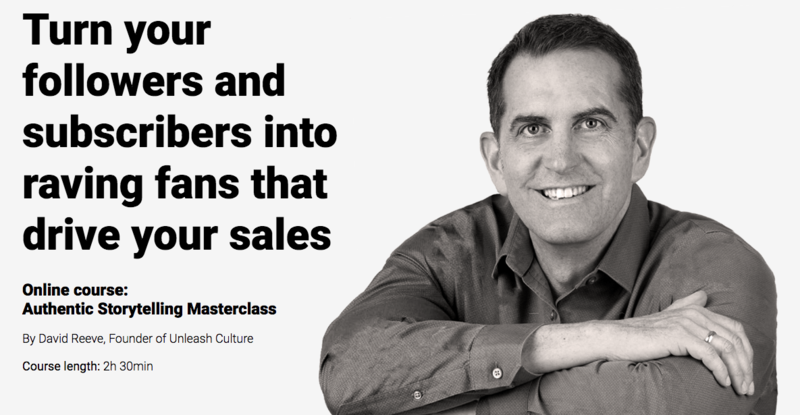 When you’ve mastered the advantages of upselling and cross-selling, the final stages of this course will deal with conversion rate optimization and acquisition methods. 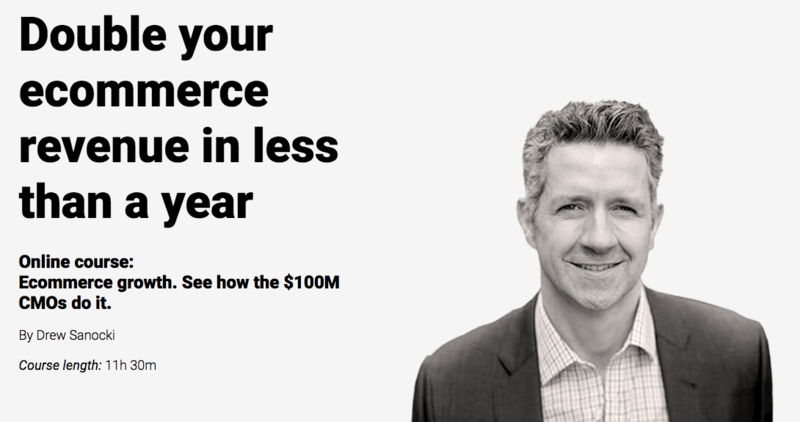 The price for the Ecommerce Growth course is $499, but if you grab the discount, you can learn it at a fraction of the cost – for $49. Do you want to improve your website based on science? 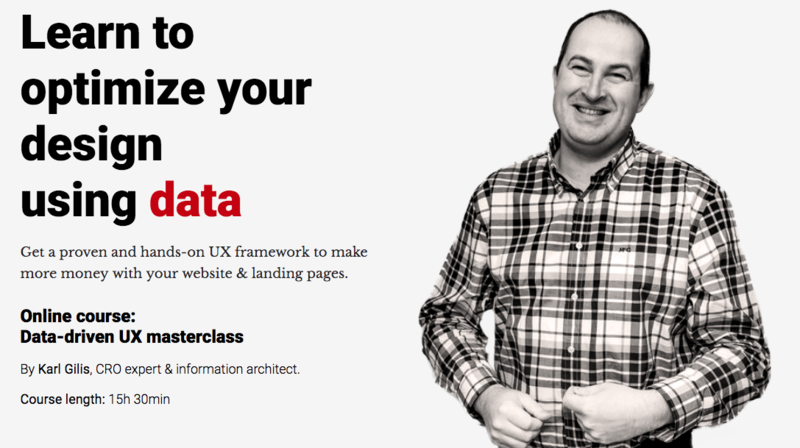 You should attend the Data-Driven UX Masterclass. Lecturer Karl Gilis will teach you how to advance the user experience on your website through some data-driven tactics. 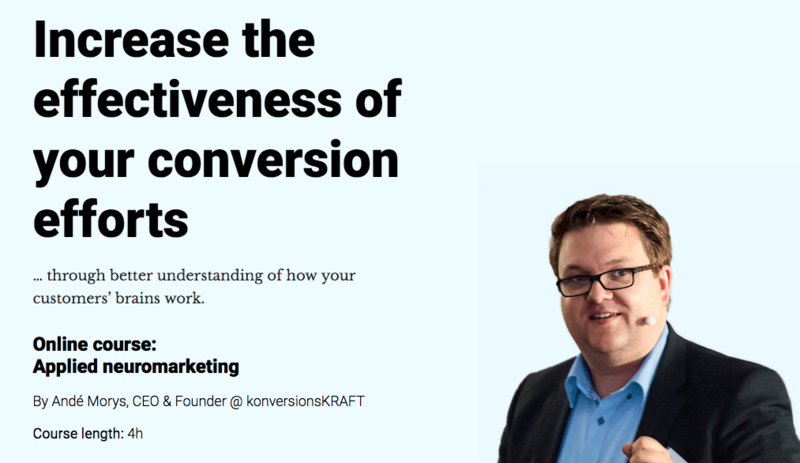 The first you’re going to learn from Karl is that your website should talk about your customers and not about your business. He’ll teach you that your content needs to tell them how they can benefit from you and not the other way around. After you’ve dealt with processing the Google Analytics data and heatmaps, you’ll learn how website forms can help you increase your conversion rates. The next two stages of this course discuss the matter of landing pages and detail pages. You’ll learn how to create these pages in line with some rules and examples, instead of sheer intuition. After you learn more about the importance of your homepage and category pages, you’ll finish the class by learning how to build a relationship with your visitors. This exquisite Data-driven UX course will cost you $499. In this course, you’ll learn how to send a clear message to its target audience. Lecturer Momoko Price will start off by teaching you how to analyze every bit of page copies and find the problematic parts. Then you’ll learn how to make online research to identify the messages that will properly address your potential customers. 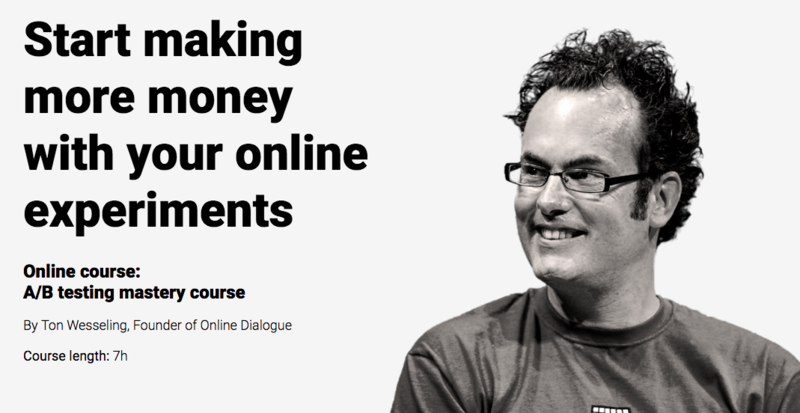 The next stage in this course is to find out more about the potential that your customers have in communicating the value of your products. You’ll also get familiar with filtering a large number of brainstormed messages to use only the most resonating ones. The next few stages include the practical work, such as structuring your message and adding a certain tone or creating your first draft. After learning how to distill your copy and remove fluff from it, you’ll format your first copy and place it on your website or make it public to address your audience. 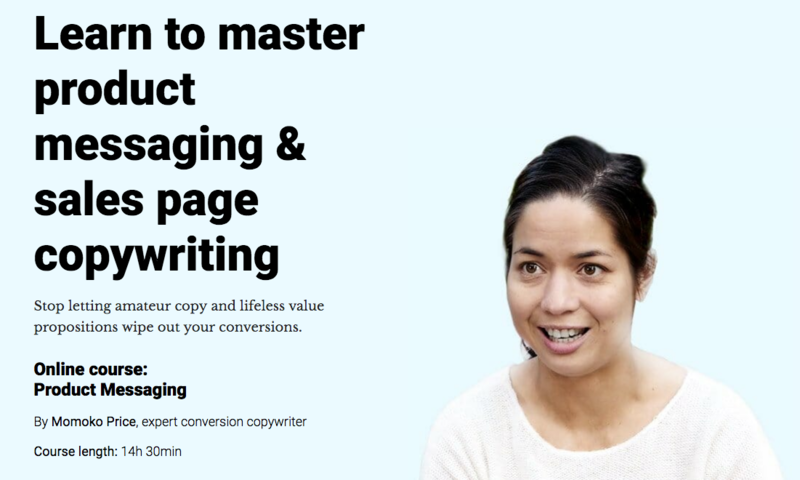 The Product Messaging & Sales Page Copywriting course is available for $499. It is a comprehensive course which will help you identify your brand’s message. Online learning has become almost as effective as face-to-face education. Along with lower costs, more comfort during learning, the convenience and flexibility it provides, it’s easy to see why you should consider the CXL Institute courses and become an expert in your marketing niche. Another good thing about CXL is that they’re LinkedIn certified education provider and you can add the certifications to your LinkedIn profile. If you want me to check out and review other growth marketing online courses, just drop me a line in the comment section below. 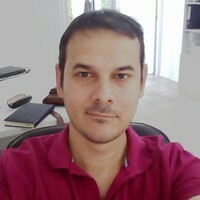 Wooow.. what an awesome list of online growth marketing courses, Ivan. Thanks so much for reviewing them. Which of these courses would you suggest to a seasoned SEO who’s looking to improve his/her knowledge of CRO? Thank you, Dragan. I primarily deal with SEO, and I think every marketer should have a comprehensive approach to marketing. Imagine a situation where you are well-ranked for a particular phrase, but it does not convert. The effort will eventually be wasted. I recommend SEO specialists to look at 2 courses – Landing page Optimization and Authentic Storytelling. The first course is important for the services and products offered on your site. Potential customers are already in the product review phase and a well-created landing page can only speed up and increase sales. Storytelling is essential for those who deal with content marketing and blogging. You can not expect everyone to swallow your story and buy from you. It is important to write about relevant but less competitive phrases. If you know how to present it nicely, one part of the readers will instantly become your leads and another will become your users. Storytelling is a big part of the famous marketing funnel.